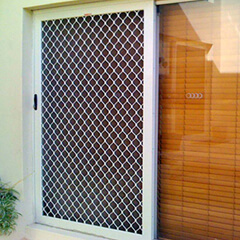 Of course, you can easily find pet doors online, however are you certain that these products can withstand the harsh weather conditions of Australia? Here at Aus-Secure, we recognise this problem, and that’s why we offer dog door products for your Perth home which are made out of UV Stabilised Plastic, a highly durable material that is also effective at resisting the elements. Contact us today and you are sure to get a dog door that’s long lasting and practical at affordable rates. 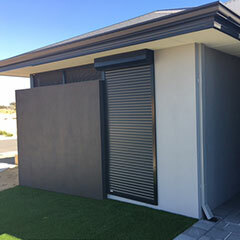 Searching for reliable dog doors from a Perth supplier? 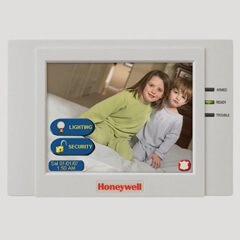 As the leading provider of home security products in the area, we do more than just keep your home or business protected against burglars, intruders or pests. We also carry ideal dog doors that work to keep your dogs safe whilst allowing them to freely and conveniently move in and out of your house. Turn to us when you need dog doors that are durable enough to withstand abuse, as well as the harsh Australian weather conditions. You can choose from three sizes and six different colours, therefore there is no doubt that you’ll be able to find one that is suitable for the size of your dog and the colour of your door. Our dog doors are manufactured with UV Stabilised Plastic, ensuring optimum durability, and come with hinged flaps to avoid chipping and tearing which ensures that they will stay in good condition for a long time. It is also worth noting that our dog doors have been tested against the Australian conditions, proven to stay flexible and tightly sealed even under extreme temperatures. 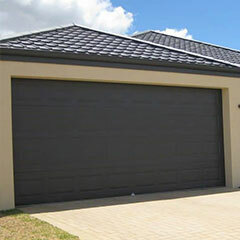 We are able to install pet flaps in our factory or on-site at your home. 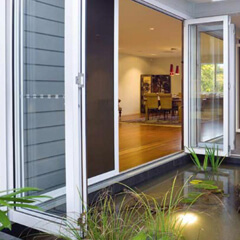 Industry experts say that dog doors offer several health benefits for your pets. When you have one installed, your dog can go outside whenever ‘nature calls’- of course, it’s no surprise that it can be unhealthy and uncomfortable for dogs to hold their bladder for long periods of time. When you give your dogs the freedom to go out whenever they want, you are enabling them to stay healthy, fit and active. Your dogs can also enjoy several mental health benefits when they have access to pet doors. By giving them the opportunity to go out, you are allowing them to have more freedom in activities and stimulate their brain. By keeping their mind stimulated, you are also training them to stay alert. Your dogs and your household may also experience problems caused by boredom. When dogs get bored, they tend to develop unhealthy habits such as compulsively chewing items or excessive barking, and the last thing you want is your dog chewing through your couch or your telephone because they’re bored. Give them the freedom to go outside and you will also improve their overall health and behaviour. With a dog door, you can also ensure your dog’s safety Having a dog door allows your pet to escape in case of an emergency, therefore in the unfortunate incident of fire or dangerous intrusion, your dog will be able to run to a safer place. Having a dog door installed also offers several benefits to the pet owner. You wouldn’t have to worry about scratched doors because your dogs can freely go out without the need to aggressively inform you. Since your dogs will have the option to play outside, most accidents in the house can be avoided. Your dogs can also scare off intruders because they will be able to check outside when they hear unusual noises. 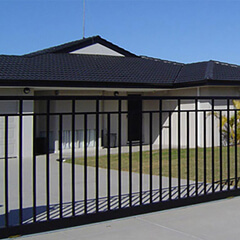 If you are looking for a trustworthy dog doors Perth supplier, contact Aus-Secure today at 08 9350 6401 (North) or 08 9337 5779 (South).